We assume, here, that you have looked at all relevant FAQ answers you can find, you’ve looked in any books you have, and scanned relevant tutorials… and still you don’t know what to do. 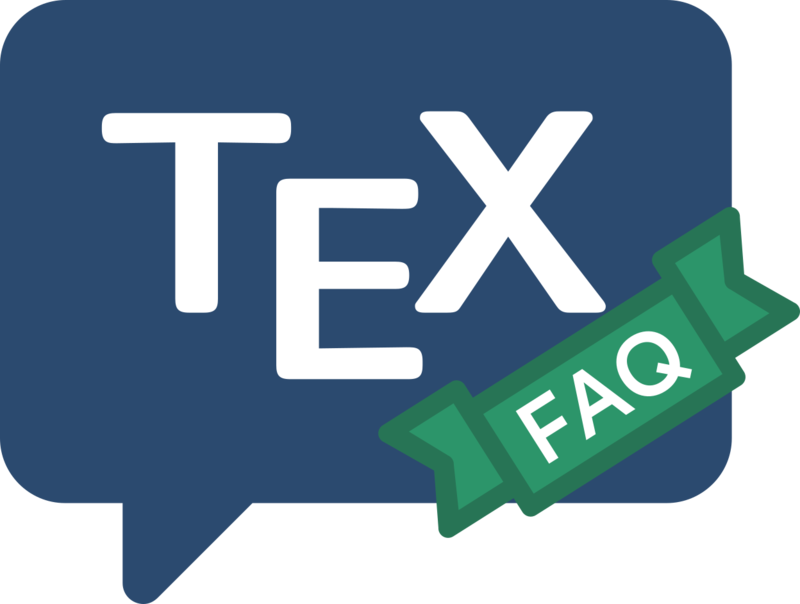 There are two more steps you can take before formulating a question to the TeX world at large. First, (if you are seeking a particular package or program), start by looking on your own system: you might already have what you seek — the better TeX distributions provide a wide range of supporting material. The CTAN Catalogue can also identify packages that might help: you can search it, or you can browse it “by topic”. Each catalogue entry has a brief description of the package, and links to known documentation on the net. In fact, a large proportion of CTAN package directories now include documentation, so it’s often worth looking at the catalogue entry for a package you’re considering using (where possible, each package link in the main body of these FAQs has a link to the relevant catalogue entry). the mailing list texhax via its archive, which holds a very long history of the list. A long shot would be to search the archives of the mailing list’s ancient posts on CTAN, which go back to the days when it was a digest: in those days, a question asked in one issue would only ever be answered in the next one. If the “back question” searches fail, you must ask the world at large. Mailing lists: there are various specialist mailing lists, but the place for “general” (La)TeX queries is the texhax mailing list. Mail to texhax@tug.org to ask a question, but it’s probably better to subscribe to the list (via https://tug.org/mailman/listinfo/texhax) first — not everyone will answer to you as well as to the list. Newsgroup: to ask a question on comp.text.tex, you can use your own news client (if you have one), or use the “+ new post” button on http://groups.google.com/group/comp.text.tex. Web forum: alternatives are: the “LaTeX community” site, which offers a variety of “categories” to place your query, and the TeX, LaTeX and friends&site (“StackExchange”). StackExchange has a scheme for voting on the quality of answers (and hence of those who offer support). This arrangement is supposed to enable you to rank any answers that are posted. Do not try mailing the LaTeX project team, the maintainers of the TeX Live or MiKTeX distributions or the maintainers of these FAQs for help; while all these addresses reach experienced (La)TeX users, no small group can possibly have expertise in every area of usage so that the “big” lists and forums are a far better bet.